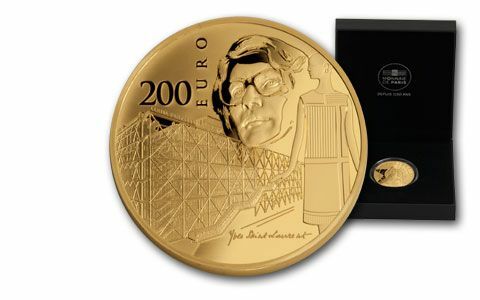 This 2016 France One-Ounce Gold Europa Star Proof honors the 80th birthday of famous French designer Yves Saint Laurent. 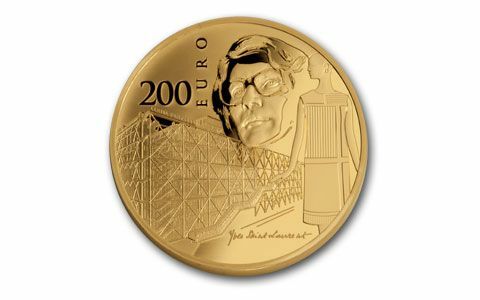 The reverse features his image along with one of his signature Piet Mondrian dress designs and France's Pompidou Center. The obverse shows the Europa Star theme being used on 2016 coins by all participating European countries. 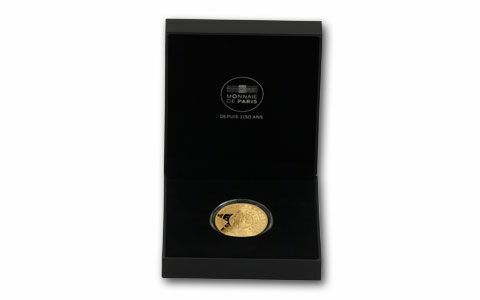 The 200 Euros proof has a high gold content (one ounce, 99.9% pure) and was struck at the Paris Mint. 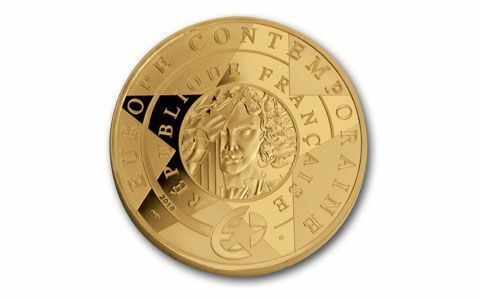 This highly collectible proof has an extremely low mintage of only 500, making it scarce right out of the mint, and perhaps incredibly difficult to locate in the future. The proof comes in a mint box with a decorative sleeve. Secure yours before our limited supply is gone.